More than 6,500 park and recreation professionals, citizen advocates and industry suppliers will learn how active minds create opportunities for a healthy nation at the 2011 National Recreation and Parks Association (NRPA) Congress and Exposition in Atlanta, Nov. 1-3. “Active Minds, Healthy Nation” is the theme of the Congress, which will feature hundreds of mind-expanding educational sessions and networking opportunities. About 450 exhibitors will showcase their newest products, services and technology in categories including aquatics, grounds maintenance, surfacing materials and water parks. 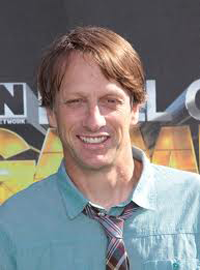 Even though he has been retired from competition since 1999, skateboarder Tony Hawk is an extreme sports legend. Hawk was nine years old when his brother changed his life by giving him his first skateboard. By 12, Hawk had national sponsors, by 14 he had turned pro, and by age 16 Tony Hawk was a top skateboarder worldwide. Hawk went on to win more than 80 competitions, which is a record in skateboarding history. Tony’s career was not stress-free, however. As skateboarding’s popularity rose and fell, he felt the effects firsthand, and he considered switching to a career other than the sport he loved. Ultimately his passion was contagious —skateboarding rose to prominence again, with Tony front and center. He remains a skateboarding innovator and still performs several demonstrations each year. At the NRPA Congress opening general session on Tuesday, Nov. 1, Hawk will discuss the importance of youth engagement through sports and the contributions of parks and recreation, as well as his efforts to give back through the Tony Hawk Foundation, which promotes and helps finance public skateparks in low-income neighborhoods. To date, the foundation has distributed more than $3.4 million to more than 450 skatepark projects in the U.S., enabling 3.5 million young people to enhance their skateboarding skills. The Congress offers a variety of festivities, including a welcoming celebration on Tuesday, Nov. 1, from 6 – 9 p.m. The Georgia Aquarium hosts a fun-filled night of networking, food and an opportunity to see the world’s largest aquarium with more than 120,000 animals of 500 different species. An 18-hole golf tournament takes place Monday, Oct. 31, starting at 10 a.m. at Stone Mountain Golf Club, located in Stone Mountain Park. The location offers breathtaking views through a forest of Georgia pines and hardwoods, and around Stone Mountain and Stone Mountain Lake. The session helps attendees prepare for the NRPA’s Certified Park and Recreation Professional (CPRP) certification. The CPRP examination is one of the principal requirements to achieve certification and is designed to assess the base knowledge of job-related tasks common to entry-level professionals. Through the workshop, attendees can determine their knowledge strengths and weaknesses through practice questions in the three primary exam areas. In 2010, the U.S. Department of Justice published the amended Americans with Disabilities Act (ADA) title regulation and the 2010 Standards for Accessible Design. The regulation includes some new policy requirements, some new definitions, and some old requirements are enhanced. The standards are historic in that this is the first time recreation environments are included. The workshop covers what makes an accessible playground, swimming pool, golf course, shooting range, fishing area, boating area, fitness center and miniature golf course.